Off-road cycling is more commonly known as mountain biking. 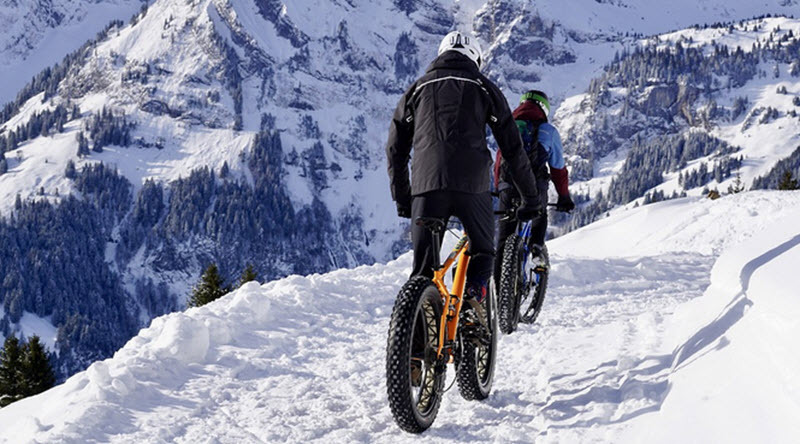 This sport is a relatively simple one and involves cyclists taking their bikes across rough terrain whilst mounted on specially designed bikes that can handle the rougher terrain. These types of bikes are very similar to regular bikes but have enhanced features, such as better springs, longer durability and better performance. However, it is not only the bike that needs to be strong. This kind of sport requires the rider to have great handling skills, reflexes, endurance, strength and more. The sport can be highly dangerous, with riders heading down sheer cliffs or making their way up high inclines. Some of the more advanced rides will even involve jumps and other technical manoeuvres in order for the rider to get over or around some of the natural obstacles that they will inevitably come across. Often riders are also far removed from civilization and, as such, there is an element of self-reliance. Bikers must be able to repair their own bike, be prepared for cuts and bruises and carry a first aid kit, compass and bare necessities of survival. On longer treks it is common for bikers to go in groups out of the need for safety. There are a number of categories within mountain biking and these are cross country, trail, enduro, dirt and freeride to name a few. Each of these categories has distinct differences and also involves differences in the bike style as well. However, there are a few things that are the same across the board, particularly when it comes to the gear required by the rider. Protective gear is a must and, of course, it begins with a helmet. Body armour and pads are also a must, as falls occur on a regular basis, particularly for those just starting out. Gloves and goggles are also other useful clothing to purchase simply due to their protective nature even just against the cold or rain. Off-road cyclists tend to venture out in all kinds of weather, so it is best to be prepared for all eventualities. It is important that prospective cyclists do understand that this protective gear will not prevent injuries but will merely reduce the seriousness of them. Whilst the general idea of all off-road biking is the same, there are slight differences in each type. For example, cross-country cycling tends to follow a specified track or loop that will take in a number of different terrain types in order to test the rider’s skill. This will have a distinct start and finish point. In contrast, Enduro or All- Mountain biking puts the race into various sections, which can last a full day. There are often time limits in place for how long the rider is allowed to reach the top of a race section. This type of race is seen as being more open for the average cyclist to prove their skills rather than for the experts. There are many more off-road styles, but essentially, they all involve high levels of skill and a great bike to accompany them.